In his first season after being at the top for a large part of the championship and dominating the league with authority, with only 6 games to go he let the opportunity of claiming the title slip through his hands and the trophy was lost to Real Sociedad. 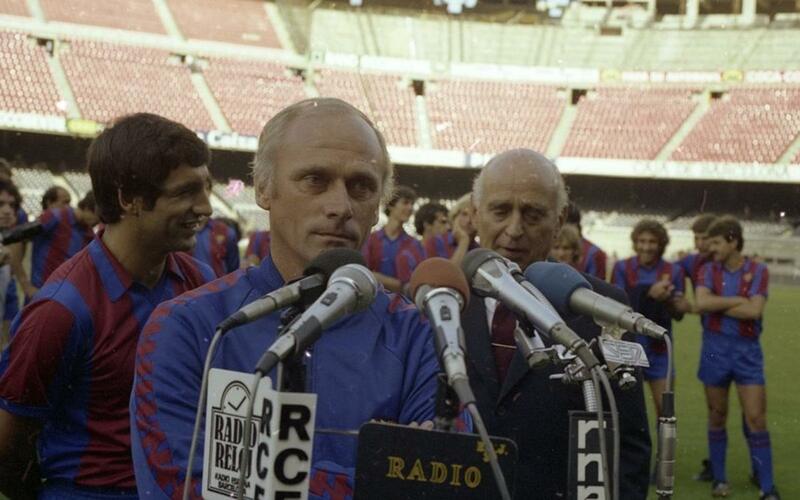 Udo Lattek salvaged the season by winning the European Cup Winners' Cup in 1982, beating Standard Liége at Camp Nou (2-1). On 4 June 1982, after extensive negotiations, he pulled off the signing of the best player in the world at that time - Diego Armando Maradona. The Argentinian star, however, did not perform as hoped and Lattek sacked on 3 March 1983, when Barça lost at home to bottom side Racing Santander.